That’s the number of sunny days Phoenix gets in a year, not to mention an additional 85 partly sunny days. 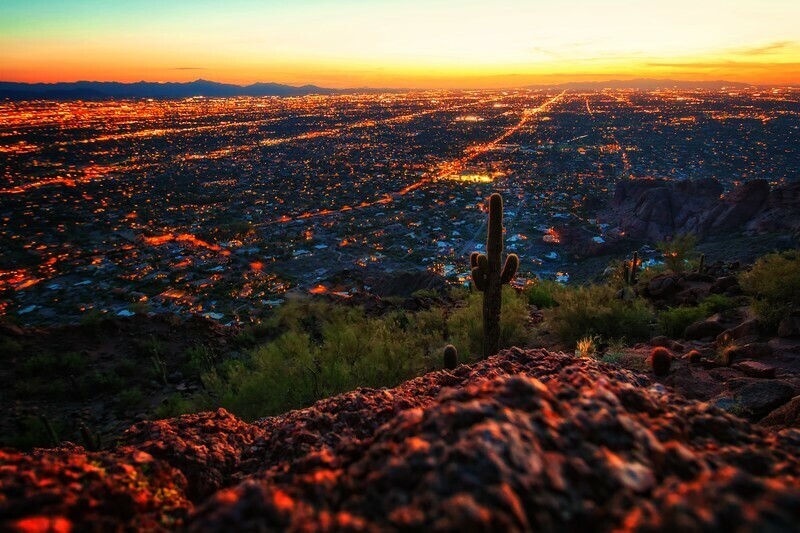 With warm winters and blistering summers, Phoenix is a go-to destination for sun-seekers. But there’s so much more to do in Arizona’s capital than just soak up the desert rays. To help make the most of your week in the “Valley of the Sun”, we put together this day-to-day guide to showcase the best things and activities Phoenix has to offer. Some spots are world renowned, others are local secrets; all will make sure your week in Phoenix is unforgettable. Kick things off with a trip to one of Arizona’s unique geological formations. 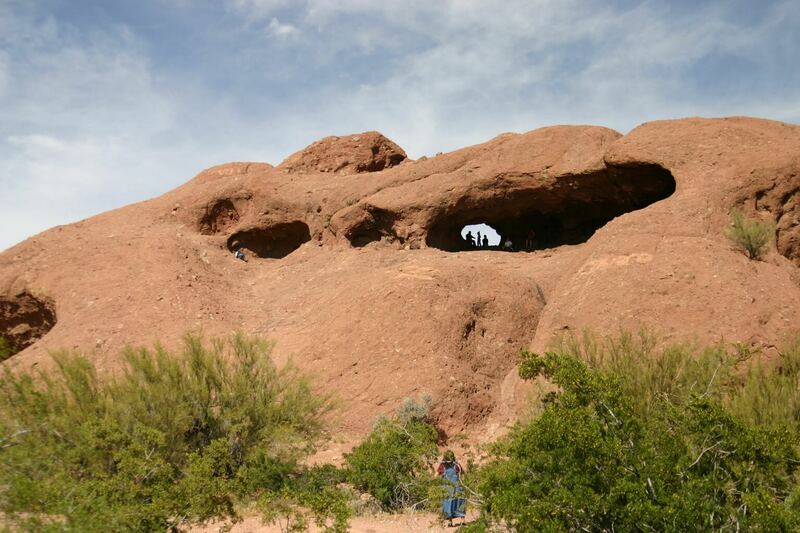 Located 15 minutes east of the city in Papago Park, Hole-in-the-Rock is a series of holes eroded into the red sandstone hill. Marvel at the ingenuity of the indigenous Hohokam people, who used this feature to mark solstices and equinoxes. Take 10 minutes snapping photos, or spend the entire morning enjoying the rest of the park. The choice is yours. You’ll understand why this is a top free activity in Phoenix. More of an indoor cat? Why not wander the halls of the Phoenix Art Museum? Located in the heart of downtown Phoenix, this museum offers a taste of the city’s unique culture. Exhibitions include paintings, films, music and much more. Best of all, you can even access certain events (like poetry readings from students of the University of Arizona) completely free of charge! Price: $15 for adults; free for kids. Or, if you have kids in tow, consider making the five minute drive south to the Children’s Museum of Phoenix instead. With three floors and 300 interactive exhibits for children aged up to 10, you’re sure to engage their minds, muscles and imaginations. This museum even offers cooking classes using produce from the museum’s own garden. 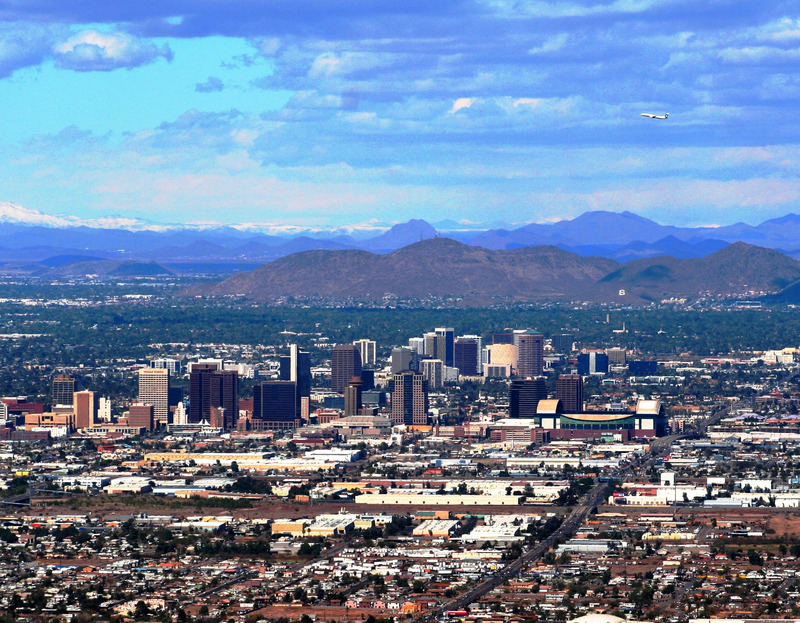 Twenty minutes south-west of downtown, you’ll find Dobbins Lookout at South Mountain. Rising 2,330 feet above sea level, the stone outbuilding is the perfect place to watch the sun set on your first day in Phoenix. And if you’re feeling peckish after your activity-packed first day, stop off at Lo Lo’s on the way back to town for some chicken and waffles. Cartel Coffee Lab is as much about the atmosphere as it is about great beverages. With an artisanal ambiance, a variety of sweet treats, and gourmet coffee, Cartel is the perfect place to charge up for the week ahead in Phoenix. We recommend their espresso roast and banana bread. True coffee-lovers can even grab a bag of beans to brew at home. Price: Around $4 for a coffee. If you’re in a rush or just fancy somewhere a little more rustic for your caffeine fix, head to the drive-through at Copper Star. (Don’t worry, you can sit in if that’s more your style.) This independently owned coffee shop is located in an old gas station and features art from local artists. Prices are very reasonable, too. Price: Around $3.50 for a coffee. Immerse yourselves in “the ancient heart of Phoenix”. 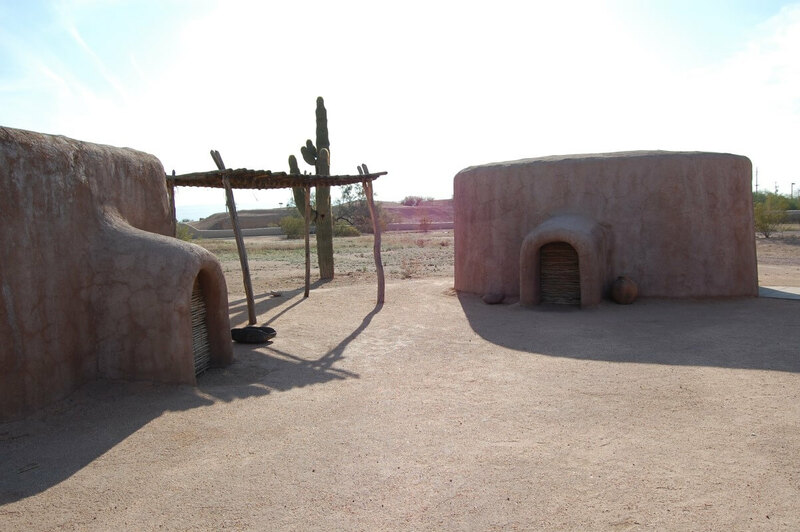 This museum features longstanding history from the indigenous Hohokam people, displaying intact ruins and replicas of communities that are hundreds of years old. Planning to visit in the summertime? Be warned. Most of the attractions are outside, and temperatures often exceed 100 degrees, so be sure to bring sunscreen and plenty of water. Price: $6 for adults; $3 for kids. What better way to end the day than by taking a trip out to Phoenix’s famous Bat Cave. Located on the north bank of the Arizona Canal (just past 40th Street) you’ll find a specially built observatory deck across from the ‘cave’- it’s actually a flood control tunnel. Arrive just before dusk for a spectacle you’ll not soon forget, as up to 20,000 Mexican Free-Tail bats leave the cave to hunt for food. A top activity for anyone visiting Phoenix, Arizona. Kick the day off with a tour around one of Phoenix’s grandest estates. William Wrigley Jr. (of chewing gum fame and fortune) commissioned his fifth home in 1929. At 16,000 sq. ft. this was his smallest residence. Construction finished in 1931, one year before his death, and the building is now open to the public. Tours take around an hour and reservations are recommended. Price: Tours are $15 (including tax). The Chuckbox is famed for The Big One; a ⅓ lb beef patty that’s flame-broiled to perfection. (If you’re still hungry from hiking around the desert, you can even try The Great Big One; a full ½ lb of beef chuck.) Although strictly cash only and located slightly outside of Phoenix, this southern themed burger bar is definitely one not to miss. Learn more about the history of Phoenix and the surrounding area at The Heard Museum. Dedicated to the advancement of American Indian art, the 89-year-old museum is internationally recognized for the quality of its collections. Eleven indoor exhibits provide relief from the summer heat, and if you’re lucky enough to attend one of the hosted events, you could even meet the artists, too. Price: $18 for adults; $7.50 for kids. It’s a bar and an arcade; what’s not to like? 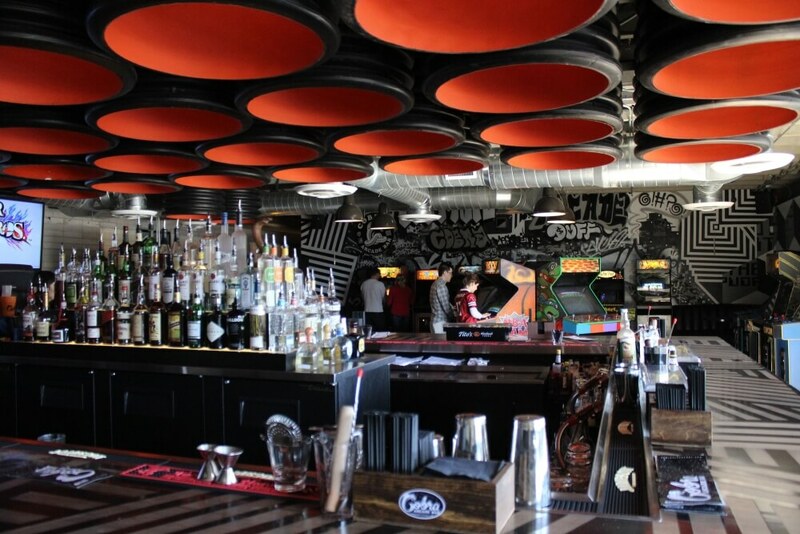 Located in the heart of downtown Phoenix, Cobra offers 40 vintage arcade games (don’t be surprised if the locals challenge you to a game of Tetris) and 14 delicious craft beers on tap, as well as a variety of cocktails and soft drinks. The line can get pretty long at weekends, so head down on a weekday if you can. Price: Around $10 for a cocktail. Get an early start on the day and make the 15-minute drive north to the beautiful grounds of the North Fields Baptist Church. Here you’ll find the Uptown Farmers market, home to the best produce Arizona has to offer. The market moves indoors for the summer months but make sure to check the website for opening hours, as well as a list of vendors. Price: Depends on the vendor, but most products come at a premium. Feeling energetic? Take on one of the trails carved into Camelback mountain. There are two available, both requiring a fair degree of experience. Make it to the 2,704 foot peak and you’ll be rewarded with a spectacular 360-degree view of the city. Chances are you’ll also see a cactus or two, and maybe even a lizard or a rattlesnake. Or if you’re in the mood for something a little more relaxing, make the 50-minute drive east of Phoenix towards the Superstition Mountains and you’ll find Goldfield ghost town. This slice of the American West was abandoned after the gold rush of the 1880’s/90’s and reconstructed as a tourist destination. Featuring a zipline and Arizona’s only narrow-gage train, here you can learn about the lives of those who lived in Arizona before it was incorporated into the union as a state. Price: Free to enter. Exhibitions are around $8 for adults; $6 for kids. 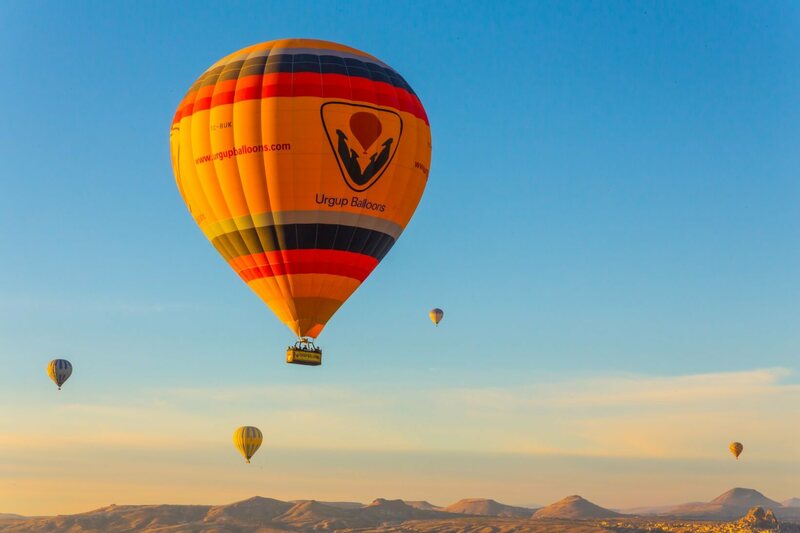 For those seeking breathtaking views from a more leisurely pursuit, how about taking a hot air balloon ride? Floating thousands of feet above the ground in near silence, you’ll get a great view not only of Phoenix, but the entire Salt River Valley. Tours usually leave at dusk and dawn, so plan your day accordingly and get ready for one of the most memorable experiences of your life. Take a morning ride down part of the 200-mile-long Salt River. 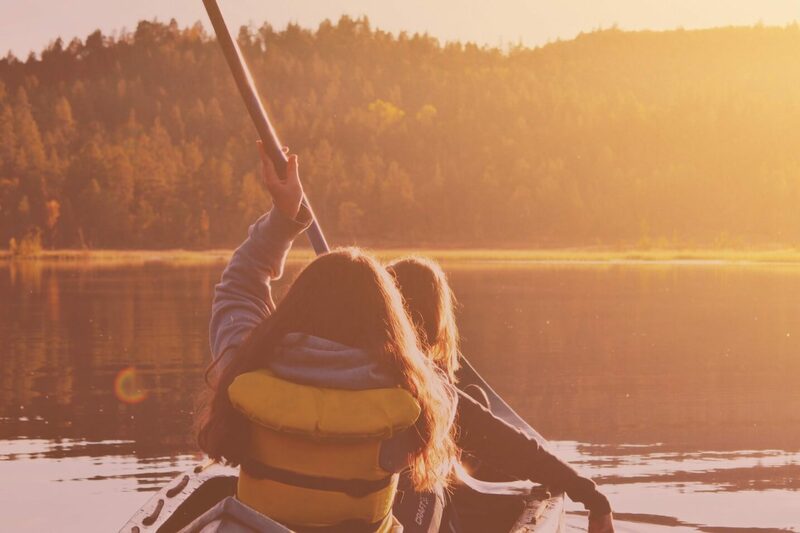 Burn some calories by renting a kayak from Northshore Watersport Rentals, about 20 minutes outside of Phoenix; or take a more leisurely approach and try tubing. Load up your cooler, slip into your bathing suit and let the river do the work as you sit back and soak up the scenery- if you’re lucky, you might even spot a herd of wild horses. Whichever route you choose, just remember to take plenty of water. Price: $22 for a kayak; $17 for a tube. Soak up the architecture of what was Phoenix’s principle distribution site in the 20th century. The Warehouse District has since transformed into a bustling modern neighbourhood filled with restaurants, art galleries and nightlife. Take a few hours to wander the streets and marvel at the meeting of old and new. It’s one of the best places to go downtown Phoenix. Price: Depends on vendor but prepare for premium prices. Walking distance from the Warehouse District is the wonderfully named Talking Stick Resort Arena, home of the Phoenix Suns. Book your tickets ahead of time and check out the best the NBA has to offer. More of a football fan? The Arizona Cardinals were founded in 1898, making them 14 years older than the state that bears their name. Their NFC West games are played in the 63,000 seat University of Phoenix Stadium, about 20 minutes northwest of downtown. Celebrate the victory (or drown your sorrows) with a drink at Bitter & Twisted. Ironically nestled in the former headquarters of Arizona’s prohibition movement lies this award-winning cocktail lounge. Take a chance on one of their homegrown specialties and you’re sure to find out how they earned their reputation. Avoid the line by booking your spot ahead of time with the Nowait app. Price: Cocktails run around $10 – $15. Wondering where to golf in Phoenix? Start the day with breakfast and a few rounds of golf at the Arizona Baltimore. With a list of patrons that includes Warren Buffet, JFK and Richard Nixon, it will come as no surprise that this is one of the more luxurious golf resorts Phoenix has to offer. Courses offer generous fairways, challenging bunkers and a variety of water features. Price: From $39 per player. Looking for a more affordable way to brush up on your long game? The Arizona Grand offers panoramic views of the surrounding desert landscape, dramatic elevation changes and breathtaking mountain vistas that highlight the diverse and challenging par 71 layout. They also over a wide variety of spa treatments, ranging from hot stone massage to hair and facial treatments. Price: From $17 per player. Grab a bite at one of the original proponents of the slow food movement. Pizzeria Bianco’s wood-fired pies are universally acclaimed, and were reviewed by the New York Times as “perhaps the best in America”. We recommend the Marinara pizza, which just happens to be owner Chris Bianco’s favourite. They also serve pasta and vegetable dishes if that’s more your style. Price: $12 for the Marinara pizza. Make sure your Friday night in Phoenix is one to remember. Bar Smith is a two-story ‘spin-house’ famous for techno and hip-hop. It also features a live DJ and an open-air rooftop, as well as the main dancefloor. The electric atmosphere is sure to get you on your feet, and cover on Friday is only five bucks. Price: $5 cover; vodka drinks around $4. Get a healthy start to the weekend and flush out the toxins from your night out in downtown Phoenix. All of Kaleidoscope’s juices are raw, cold pressed and made with produce that hasn’t been sprayed with pesticides. We recommend the Sassy Pants juice, with cucumber, cayenne pepper, spinach, lemon, apple, and broccoli. Price: Juices start at $8.25 for 16oz. 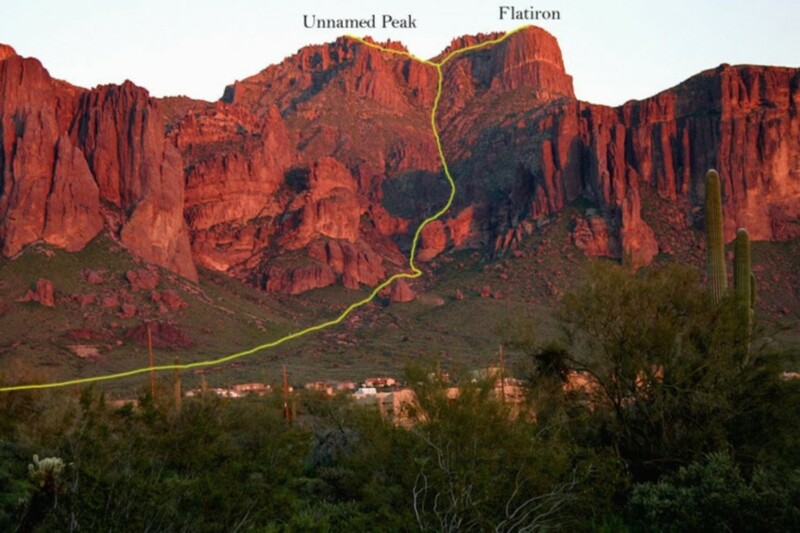 The Siphon Draw Trail winds 5.8 miles into the Superstition Mountains of the Lost Dutchman State Park. This extremely challenging hike takes around 4 hours to complete and requires near vertical rock climbing (though only for around 10-15 feet at a time). For those up to the challenge, it’s a big commitment but once you reach the peak of Flatiron summit, the view of the Sonoran Desert will make the effort worthwhile. The best part, it’s a fun and free things to do in Phoenix. And if you have a drone, it’s the perfect place to get great footage. The perfect way to end your vacation? Treat yourself to a meal at one of Phoenix’s finest steakhouse restaurants. Capital Grille dry-ages and cuts their beef in-house before cooking with state-of-the-art infra-red broilers. Be warned, entrées range from $45-$70, but if you’re feeling flush, there’s no better way to end a fantastic week in Phoenix. Price: $45 – $70 for a main course. Now that you know about the top things and activities to do in Phoenix, Arizona, make sure your home is prepared for your trip before you leave. Read this great guide on what to do when you are away for holidays. And if you have any questions about Arizona home insurance, feel free to give us a call at 1.855.331.6933. Away over the holidays? Here’s a burglary prevention checklist!